Residential roofing is one of the most important tasks we perform, and one that we enjoy the most. We consider it a privilege to be able to make sure that you and your family have a secure roof that won’t leak and that will keep your family warm and safe for years and years to come. There are a variety of different tasks we perform that help with this goal. For example, we help with re-roofing when you need to completely redo the roof on your house due to some sort of damage. Roofing damage happens to everyone, and it’s unfortunate, but it is necessary to get a new roof on your house as quickly as possible in order to make sure that there are no long term problems with your house. Your roof is an integral part of how your house functions in keeping you safe, warm and secure, so it really is important to make sure that you take care of this as quickly as possible whenever it becomes necessary. We can handle all manner of different types of roofing as well including for residential homes that have roofing made of asphalt, or wood, tiles, slate or anything else. In addition, we can also perform repairs on your home’s roofing as well. If the problem is mostly just that your roofing has degraded a bit over time, or has minor damage, we can easily and efficiently repair without a lot of fuss or difficulty. 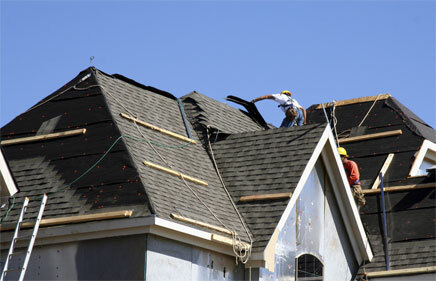 Additionally, we can also help with installation of new roofing as well. We are committed to making sure your home’s roof is repaired or installed with the utmost in professionalism, all to your complete satisfaction. We pride ourselves on our prices and efficiency, as well as our focus on customer service to make sure that you walk away happy. That is our ultimate goal, after all. Reliability and affordability are also traits we work hard to foster in our business so you don’t have to worry about anything and you can feel confident knowing your roofing needs will be met the first time, exactly to your specification. This includes immediately eliminating any part that isn’t properly repairing heat, or any part of the roof that may be leaking water into your home during rain or other precipitation. Obviously this is something that often needs to be handled as quickly as possible, and we fully respect this. At Residential Roofing Delta, We understand the need to respect your home as much as possible during the process, and having proper respect for homes is a strong source of pride.